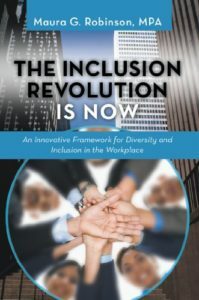 Take an innovative approach to a climate of change within your workplace or organization with this guidebook on diversity and inclusion. Your workshop really helped me to get my book in gear, and inspired me not to be afraid to finish it. Your suggestion of getting an accountability partner made the difference in my work. You also made my day, month and year! To order The Inclusion Revolution is Now click here.